Browse > Home / Want the Most Complete Info Available On Lake Chapala – Ajijic, Mexico? Want the Most Complete Info Available On Lake Chapala – Ajijic, Mexico? 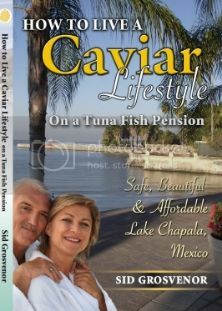 I get scores of E mails with tons of great questions about living the good life here at Lake Chapala – Ajijic Mexico each month. I really enjoy sharing my experiences and knowledge gained in well over a decade of Living Here. The “word” is getting out and accelerating as more people come for a visit, subscribe to www.ChapalaClub.com , and buy my comprehensive book that gives you more than just dry facts, but which shares personal insights. Just finished the book. It was very enjoyable. I’ve been to Lake Chapala twice in the last two years and I believe Sid really nailed it. The book offered a lot of good advise that I think was spot on. Sid did not sugar coat living there but gave what I would consider a realistic point of view. This book was given to me by a friend that knows about my plans to visit Lake Chapala in order to decide about moving to this area once I retire. What a gift this is! Going through the book felt like having a conversation with the author himself. Once I started reading it I could’t put it away and all my questions were answered in a few hours. He tells you the pros and cons in a very honest way. Bring your book with you when you visit as a helpful guide. Contact me for a Free Map Guide Booklet when you visit us at Lake Chapala.